Nowadays in our modern society, all consumer products need packaging, and all packaging needs printing. Printing is one of the most important branding tools in product packaging, which conveys information, promotes and makes the product more attractive to purchase. High-quality package printing helps to catch the eye of consumers, convey quality information about the product and thus increase sales. In addition, technically complex package printing also plays an important anti-counterfeiting role, by making it easier for consumers to verify the authenticity of the product. The global package printing market is witnessing strong development driven by robust growth in the food, beverage, household chemical products and pharmaceutical industries. According to the Global Printing Market Prospects Research and Analysis Report 2017-2022 published by AskCI Consulting, the size of the global package printing market increased from USD 266 billion in 2012 to USD 316.1 billion in 2016, with an annual growth of 4.4 percent, and will continue to increase to USD 377.5 billion in 2021, with a compound annual growth rate of 3.5 percent from 2017 to 2021. AskCI estimates that the size of the global package printing market will reach USD 341.2 billion in 2018, a 3.9 percent year-on-year growth, which may be the same as the previous year. · Printing equipment for offset printing, flexography, gravure, etc. · Special printing equipment for screen printing, etc. · Materials including papers, ink, & consumables, etc. The printing industry is a typical “downstream driven” industry as the orders for businesses are completely dependent on the needs of companies downstream. With the market witnessing an increasingly fierce competition, product packaging is one of the key factors for differentiating competitors’ products. As the demand for packaging design by downstream customers increase, it is of vital importance to extend high value services including packaging design and smart packaging to the downstream players, as a way of improving user loyalty and profit margins. There has also been a constantly growing demand for customization in recent years. Responding to these two megatrends, the Printing and Packaging Theme Pavilion will also designate a Packaging Design and a Packaging Customization zone to show how to better serve end customers through packaging design and customized packaging services. The overall scale of swop is expected to achieve a 60 percent growth over the last edition. The number of companies that have confirmed their participation has increased by over 200 percent as compared to the same period for the last edition. Some of the prestigious names include industry leaders in packaging equipment: Stora Enso, Winkler + Dünnebier, Renzmann, ENGEL, KAWATA, Hangzhou Zhongya, Ruijijinhong Packing, HuiTuo, Dachuan, RING PACK, Passion Technology, etc., and leading players in printing equipment: Hörauf, Macsa, Han's Laser, KBA-Metronic (Hangzhou), Hutong, Feida Printing, Lilin, Lifeng, Weishida, Kesheng, Xinfaxian, etc., leading players in plastics equipment: Demark, DEMAG, ENGEL, ACMPLAS, AOKI, JWELL, TOTANI, YIZUMI, TEDERIC, HAITIAN,YE I, etc., leading players in accessories & components equipment: HIWIN, ZHONGDA LEADER, etc. Among the five exhibition halls at the Shanghai New International Expo Center (SNIEC), apart from the Printing Packaging Theme Pavilion at N5, N1 will be the venue for Plastic Packaging Machinery, Smart Packaging Machinery and Automation Technology. N2 will stage the SAVE FOOD (Innovationpac), Bakery + Confectionary, and international pavilions from the U.S., Italy, Korea, and Taiwan. The FMCG Future Zone in N3 will focus on packaging materials and containers for application in end use industries including food, beverage, cosmetics and pharmaceuticals. N4 will keep pace with hot spots of the market by focusing on E-commerce/Logistics Packaging, comprehensive packaging and components. 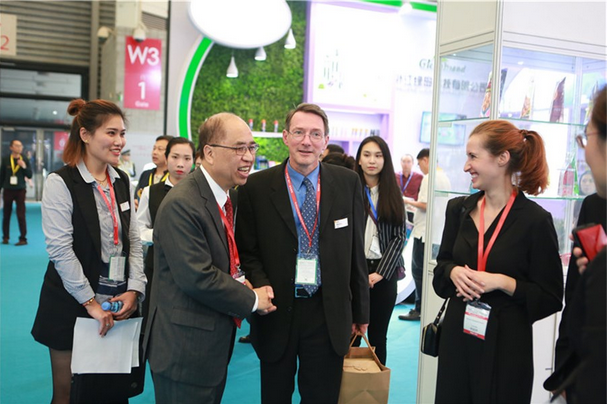 Thanks to the organizers'powerful trade network and database of resources from around the world, swop 2019 is expected to attract 25,000+ domestic and international visitors, nearly 60 percent of which would come from end use sectors including food, beverage, cosmetics and pharmaceuticals. The organizers have also implemented the Top 100 Corporate Buyer Group Program, which will invite visitors from food and household chemical product associations from Japan, Korea, Malaysia, India and Thailand, etc., in addition to heads of packaging and procurement departments of renowned corporations including Danone, Heinz, Nestle, Mondelez, COFCO, Pepsi, Coca-Cola, Yili, Bright, Nongfu Spring, Unilever, P&G, L'Oreal, Proya, and Pechoin, etc., who also attended previous swop fairs. Thus, businesses who plan to exhibit at the Printing Packaging Theme Pavilion will enjoy tremendous business opportunities, by talking to end customers from the above industries. For printing businesses, this is the one and only international professional trading platform, where they can have direct contact with high-end customers from so many end use sectors. 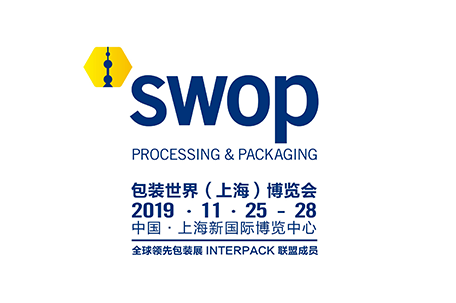 For companies that are interested in participation, please visit our official website: www.swop-online.com to enjoy the Early Bird Offer for booth reservation,or follow us on linkedin(https://www.linkedin.com/in/swop-shanghai-world-of-packaging-a33742158/),Twitter(https://twitter.com/swop_shanghai)and facebook (https://www.facebook.com/swop.sh/) to stay updated with the latest exhibition news.